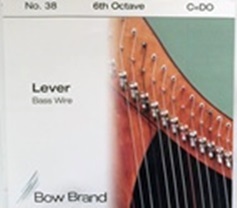 Set : Nycor sets are availabe from 1st to 4th octave. Gauges: Nycor E- and D-strings 5th octave have a ball-end, all other strings have a knot. 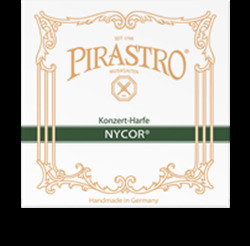 Tailpiece Options : Nycor strings are available in medium. 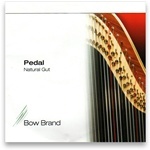 The sheep gut of the Chorda strings is hand-manufactured in the traditional way. 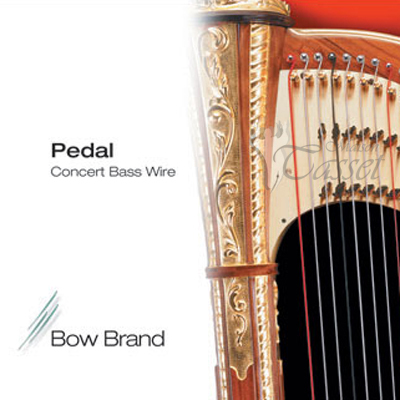 Polished with absolute precision, the strings have the same, precise diameter throughout their entire length. 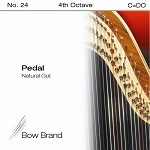 This gives the musician the potential for perfect intonation. 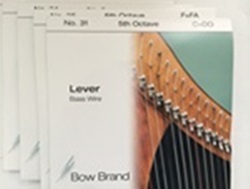 Chorda harp strings come either slightly oiled or lacquered for protection. The strings are lacquered in order to prevent them from fraying. The sound of the lacquered strings is slightly brighter. All F-strings are colored black, all C-strings red. The sets 1st to 4th octave are available in medium gauge. Chorda strings have neither a ball-end nor a knot.